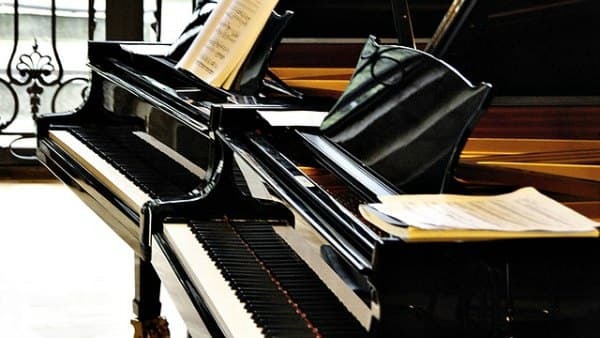 Here are the top 10 most requested classical style piano songs that have survived the test of time and are perfect for almost every occasion! I have picked out the easy piano versions of this "must-have" repertoire. Start building your "Top Hits" repertoire today! This is a perfect repertoire with simplified and easy piano songs for every beginner pianist! If you can memorize the piano pieces as well, they are always "available". Imagine always have something beautiful and perfect to play at gatherings, holidays, celebrations, weddings etc! 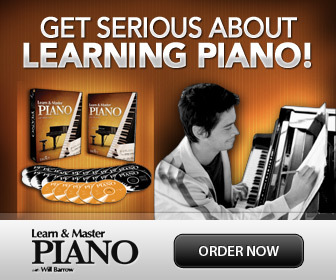 The piano pieces presented here are beautifully arranged and simplified to be easy to learn. This easy piano music has been carefully selected to be well arranged, and on a beginner- early intermediate level. 1. The Moonlight Sonata. 1st Movement by LUDWIG van Beethoven. The Moonlight Sonata is one of the most famous sonatas by Beethoven. The first movement is what got the name "Moonlight" and is the most played part of the sonata. 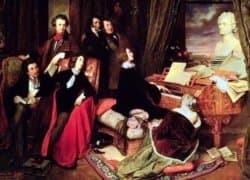 The real name is Sonata Quasi Una Fantasia, or Sonata like a fantasy, due to the dreamy and a bit blurred sound that Beethoven suggested as tone color for the piece. This is a truly romantic piece, even though it has a rather dark mood. The first theme almost sounds like a funeral march. It was composed during the era called Romanticism. Here is an easy arrangement of The Moonlight Sonata. 2. Fur Elise by LudWig van Beethoven. Who hasn't heard of Fur Elise? Almost every new pianist has tried out the first 5 note pattern at one time or other. Just playing the repeated semi tone interval, makes it immediately recognizable. This is a very romantic little piece, called Bagatelle by Beethoven. The whole composition is a rondo. That is a composition with different parts where the first part, or theme is repeated again and again. The form is A B A C A. Most beginners play only the easier A part, which is also the most famous. Here is an easy arrangement of Fur Elise. 3. Ode to Joy by LudWig van Beethoven. A happy piece with a hopeful message by Schiller about peace and Joy to all of mankind. The popular melody is originally not for piano but is the theme from the triumphant finale in his last symphony, the 9th. Get a beautiful arrangement of Ode to Joy for easy piano here. 4. Canon in D by Johann Pachelbel. Often played at weddings, Pachelbel's Canon in D is a beautiful and meditative piece. The composition is built on a repeated bass pattern, called an Ostinato. The melody was then supposed to be improvised in different ways for each sequence of the bass. Today the melody is usually not improvised, but you could try! Here is a beautiful, easy arrangement of Canon in D by J. Pachelbel. 5. Silent Night by Franz Gruber. One of the most serene and beautiful Christmas pieces. In this Christmas album you get a lovely arrangement of Silent Night for easy piano and many more favorites! Popular piano songs come in many variations! In this hymn collection, you'll find a simple but beautiful piano arrangement of Amazing Grace for solo piano that is easy to learn. Get Amazing Grace for Easy Piano here. 7. Ave Maria by Bach/Gounod. Johann Sebastian Bach wrote the first piece in the huge work "The Well-tempered Clavier", as a Prelude in C major. This comparably easy piece is then matched with a (harder) Fugue in C major. The whole work takes you through all 24 major and minor tonalities with one prelude and one fugue of each. The prelude in C major is beautiful as it is, but since it is composed with only broken chords, it is easy to understand anyone being "tempted"to add a melody to it! Gounod did so. This became the famous Ave Maria, a real hit! Get Ave Maria for Easy Piano here. 8. Happy Birthday by Mildred J. Hill and Patty S. Hill. Another famous hit that needs little introduction. Played and sung all over the world, who would have known that this piece would be so used! This is one piece that you should memorize- so appreciated! Get an easy arrangement of Happy Birthday here. 9. The Entertainer by Scott Joplin. Scott Joplin wrote many great Ragtime pieces. One of the most famous is The Entertainer. It became popular again with the movie "The Sting", and has since stayed on the list of the most popular piano songs. The original is on an advanced level, but here is an arrangement of The Entertainer that is simplified and easy to learn. 10. Clair de Lune by Claude Debussy. Our list of the best piano songs begins and ends with the light of the moon! This time by Claude Debussy. Here you can get a lovely arrangement of Clair de Lune that is easy to play. This famous French Impressionistic piece, is heard in the "fountain" scene of the movie "Oceans 11". The piece is dreamy and beautiful but has an overall optimistic tone, very suitable for that last scene!